In the program′s architecture, Server is a core component responsible for logging, scheduling, creating and running tasks, and other operations. Technically, it can run on a different computer than other components, and communicate with them over network. 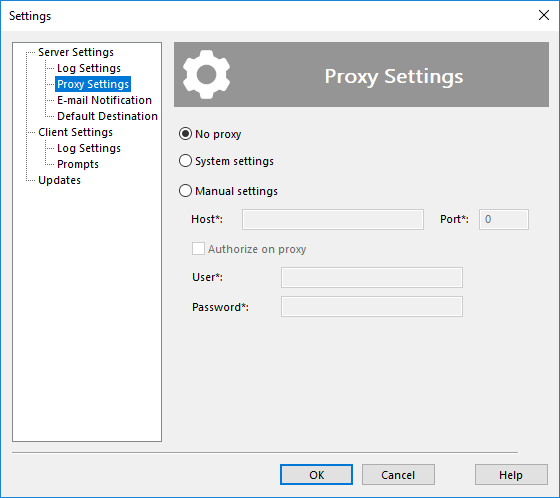 Proxy Settings allow specifying proxy server parameters. Select No Proxy if you have no proxy. Select System Settings to use general settings (the ones set in Internet Explorer). Select Manual Settings to set proxy parameters manually.